I chose Dar es Salaam, Tanzania, for my 4 week elective placement and I am very glad I did! I picked Work the World (WtW) as previous students had recommended the company. WtW made everything from the initial signing up and booking to arriving in Dar es Salaam easy. Any questions I had were answered before leaving the UK. They made arriving in a strange country easy and as soon as we had collected our bags Mark and Alpha were waiting to pick us up in WtW t-shirts. We were taken back to the house and allowed to settle in before we were shown around. The house was lovely and totally exceeded my expectations. Mark and Alpha – the staff over in Dar - were so welcoming and always there if we needed them. They made it feel like home. The best thing about the house for me was the pool. After a long hot day at placement there was nothing better than jumping in the pool as soon as you got home! The cook, Rehema, makes the most amazing food – there was always left overs for lunch the next day. Her famous Thursday night BBQ is amazing! Edito, the security guard was always waiting for you coming home from placement with a smile on his face and we always felt safe in the house with him around. 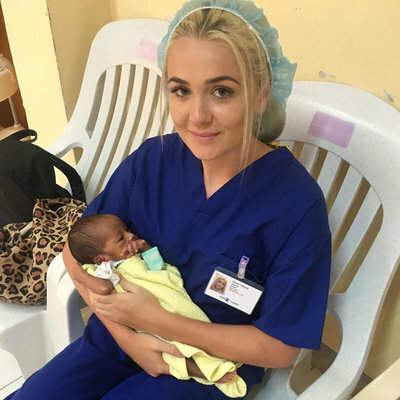 On my first day of placement, I was shown around the hospital and introduced to the staff on the paediatric ward and neonatal unit where I would be working for the next 4 weeks. 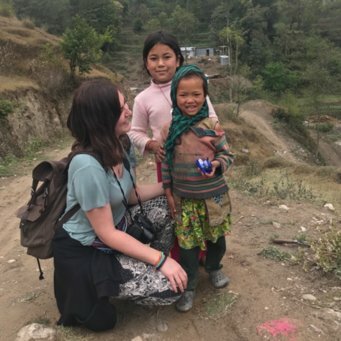 It made starting in the hospital the next day a little less daunting, however nobody could have prepared me for how difficult I found the language barrier! It did get easier though and after a few days I started to pick up some useful phrases. The most common diseases I saw in the paediatric ward were pneumonia, malaria, acute diarrhoea, septicaemia, HIV/AIDS, malnutrition, meningitis, anaemia, UTI and burns. The majority of babies in the neonatal ward had jaundice or birth asphyxia or were pre term. 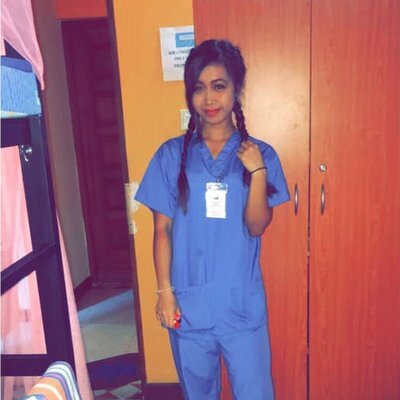 I found it beneficial (and would recommend this for future students) to work with the doctors in the hospital as they could generally speak good English and were keen to teach me about the different conditions they encounter in Tanzania. I recommend putting yourself forward – volunteering, asking questions and offering help in order to get the most out of your experience. The experiences I’ve had are unforgettable. Before I travelled to Tanzania I spent a lot of time collecting donations and my local hospital very generously contributed lots of supplies such as gloves, aprons, dressings, hand gel, needles, syringes etc for me to donate to the hospital which were gratefully received as supplies are short and every little helps! They were very appreciative and thankful of my donations. During my time in Dar es Salaam I was lucky enough to get the opportunity to go and visit a local orphanage, which was one of the best experiences I had in Tanzania. I collected donations to take to the children before leaving the UK – clothes, toys, games, sweets, toothbrushes/toothpaste. We spent time playing with the children and they were so appreciative of all their gifts and the time we spent with them. At weekends my housemates would take various trips. The 2 most memorable that we took were Mikumi National Park and Zanzibar. Mikumi national park: we were picked up from the house by safari trucks and taken to the camp. I expected to be roughing it but the tents had proper beds and we had proper toilets. We were so lucky to see so many animals over the weekend. We spotted lions, zebras, giraffe, hippos, elephants, wildebeest, water buffalo, gazelle, and warthogs. I would definitely recommend this – the whole weekend was amazing. Zanzibar: it is out of this world. We had such a relaxing weekend in on the island with amazing beaches, white sands and clear blue seas. We also went swimming with dolphins, snorkelling, on a sunset cruise and to the full moon party on the beach. Anyway, I don’t want to give too much away, but I would recommend Dar es Salaam to any future students and I only have one regret – only going for 4 weeks!